Villa (www.ruvilla.com) made us apart of their evening at the Sheraton in Atlantic City, New Jersey for the Villa Awards. We had so much fun bringing our photo booth for Villa’s event. 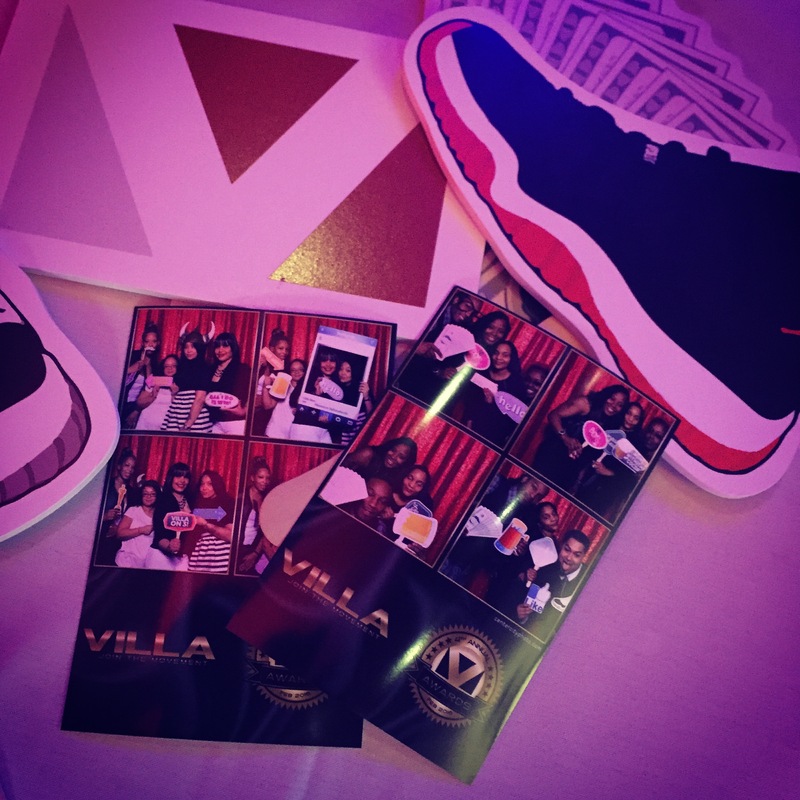 Villa’s management team got to enjoy the photo booth with Villa’s own props that included various styles of Jordan Branded sneakers. While we were looking for some ideas for the layout, we stumbled on Villa’s website that they have an “A’s for J’s” program. Villa awards any child with an A in English, Math, or Science a $25 credit towards any gear purchased at any Villa Store. Where was this program 20 years ago? We think we all know where we’ll be buying athletic gear from now on. We brought out our red glitz backdrop along with some uplighting to accent the photo booth area.